Caramel Stuffed Chocolate Chip Skillet Cookie is an easy-to-make skillet dessert, decadent and delicious. This skillet cookie recipe is a great way to feed a crowd. This Caramel Stuffed Chocolate Chip Skillet Cookie is adapted from a Nutella and Fudge Stuffed Skillet Cookie recipe in a fun new cookbook, Cast Iron Gourmet, by Megan Keno. 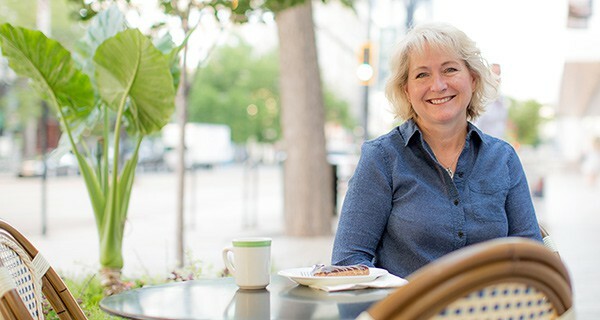 Megan is a good friend and fellow food blogger, who shares great family friendly recipes on Country Cleaver. 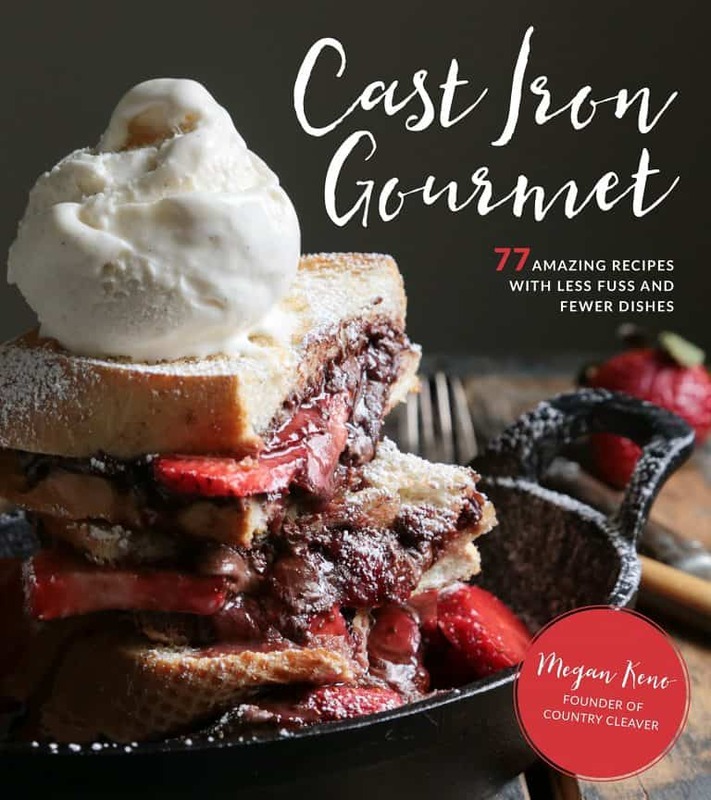 Her new cookbook is filled with delicious recipes made in cast iron skillets. 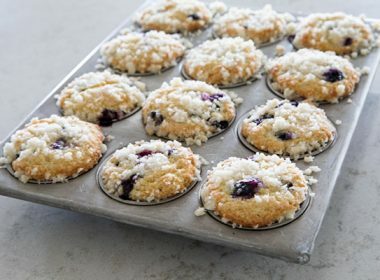 She’s included creative, easy to make recipes for breakfasts, breads, main dishes, side dishes and desserts. I’ve had my cast iron skillet for many years and love using it. 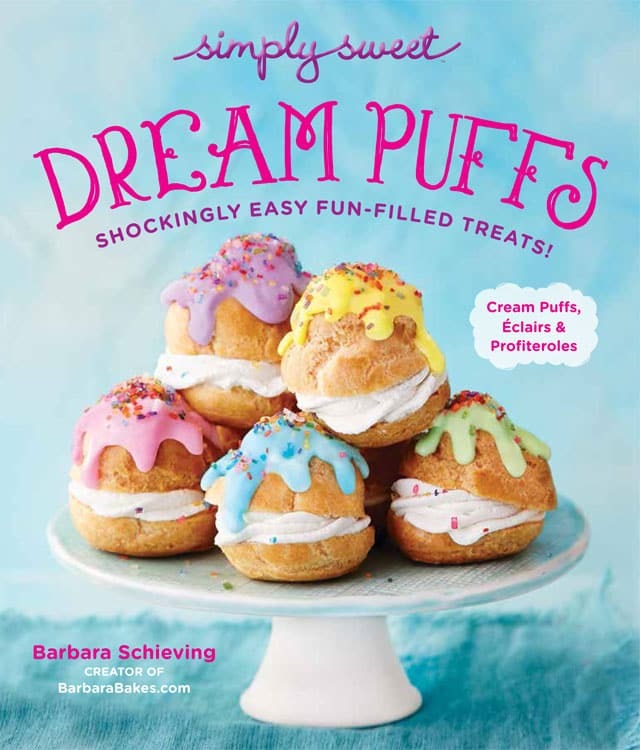 So I had a hard time deciding what to make first from her cookbook. I thought about making the Double Chocolate Fudge Skillet Poke Cake or the Pesto and Mozzarella Stuffed Dinner Rolls. But when I read in the notes Megan’s suggestion to substitute caramel for the hazelnut spread in the Nutella and Fudge Stuffed Skillet Cookie, I was hooked. 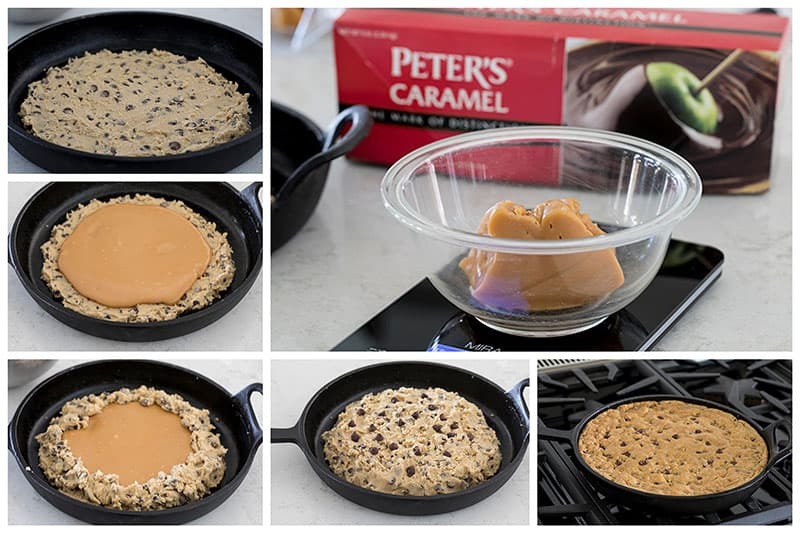 These step by step photos show how easy the caramel stuffed chocolate chip skillet cookie is to assemble. Chocolate and caramel is one of my favorite combinations. I keep a big block of Peter’s Caramel in my pantry. You just cut off as much as you need. However, Kraft caramels or similar soft wrapped caramels will work just as well in this recipe. You want to seal the caramel inside, so I put dollops of cookie dough around the edges first. Then I put dollops of cookie dough on top of the caramel. 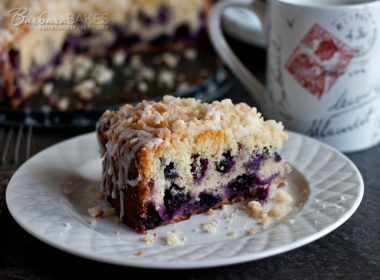 This is a rich, decadent dessert and a little slice is all you need. I cut the cookie into 12 wedges, but you could even cut it into 16 wedges. 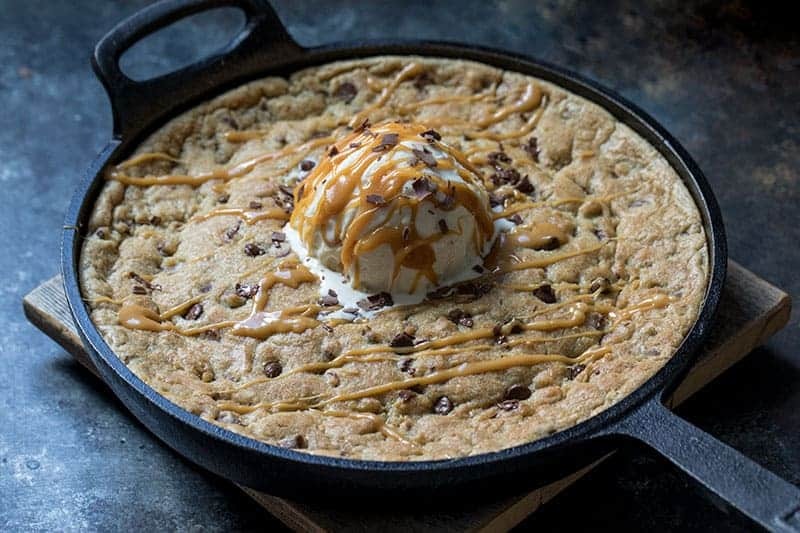 I served the caramel stuffed chocolate chip skillet cookie with a scoop of ice cream, a drizzle of caramel and a little bit of grated chocolate. It’s a fun way to dress it up. Caramel Stuffed Chocolate Chip Skillet Cookie is an easy-to-make skillet dessert, decadent and delicious. 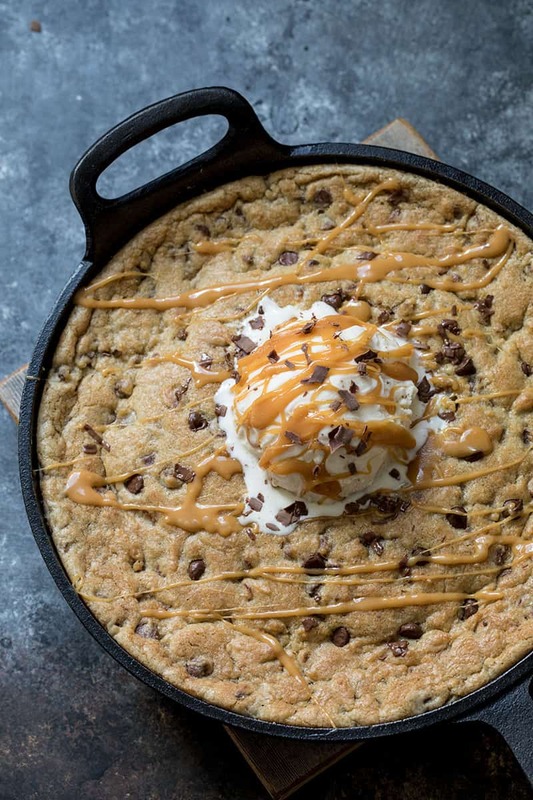 This skillet cookie recipe will feed a crowd. In a large mixing bowl, beat together the cubed butter, brown sugar and white sugar until light and fluffy. Beat in the eggs one at a time, scraping down the sides of the bowl between additions. Mix in vanilla. Add dry ingredients to the wet ingredients and mix just until incorporated. Stir in the chocolate chips. Place caramel into a microwave-safe bowl. Microwave on 50% power for 1 minute and stir until smooth. Heat again if necessary. Press half of the cookie dough into a 9-inch cast iron skillet, leaving a 1/2 inch gap between the dough edge and the sides of the pan. Spread the caramel over the cookie dough within 1/2 inch of the edges of the cookie dough. Press the other half of the cookie dough over the top, sealing the edges to contain the caramel. 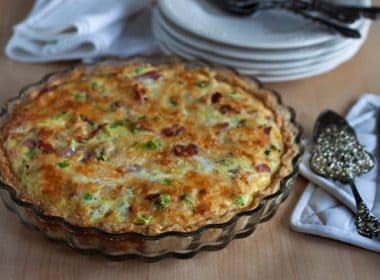 Bake for 25 to 30 minutes until the edges are set and the middle of the cookie looks slightly underdone. The residual heat from the pan will continue to bake the cookie slightly. 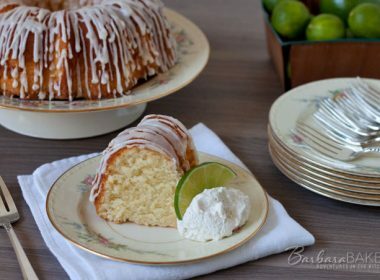 Allow the pan to cool on a wire rack until it’s ready to serve. Serve topped with vanilla ice cream and additional melted caramel, optional. What if you don’t have a cast iron skillet? Hi Edna – I would bake it in a 9 inch square pan then. 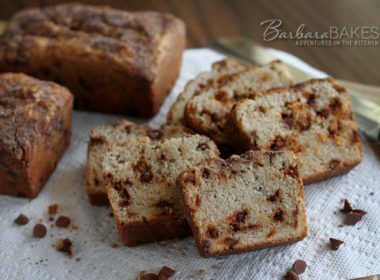 Talk about comfort food, Barbara! This giant cookie looks divine – Pinned!